Is the LG Watch W7 the hybrid smartwatch you've been waiting for? Last night LG announced the LG Watch W7, it's something we haven't seen before, and could be what the smartwatch market has been waiting for. What makes the LG Watch W7 so special? Its a hybrid smartwatch that runs Google's Wear OS, but also features analogue hands. 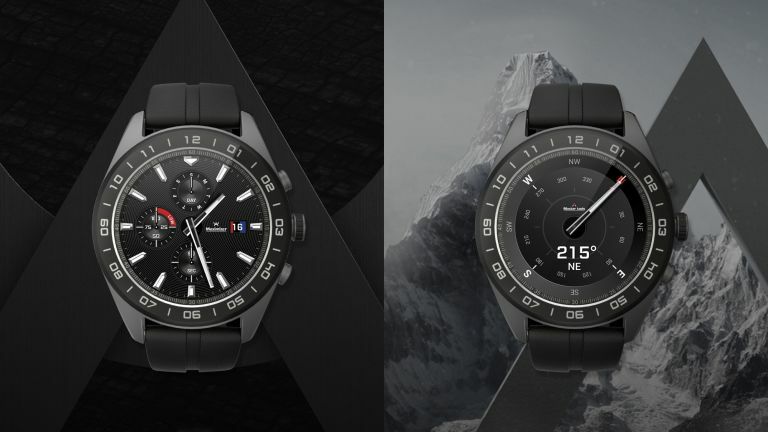 Okay, so this isn't exactly new – smaller brands like MyKronos have been creating hybrid watches for a while now – but this is the first time a large brand has dabbled with the technology. LG has used a touch-friendly 1.2-inch LCD screen running Google's Wear OS. That means you get all of your notifications, apps, reminders and messages on your wrist. With everything turned on, the battery will last two days. On top of the screen are two analogue hands, which, obviously tell the time, but can also be used as a compass, stopwatch, timer, barometer and altimeter (similar to the Tissot T-Touch). In 'watch mode', with all of the smart features turned off, the W7 will continue to tick for up to 100 days. The rugged looking stainless steel case has IP68 protection against dust and water. Inside the LG Watch W7 uses Qualcomm's Wear 2100 chipset and 768MB of RAM. That's last-gen tech, and could be little slow and inefficient compared to the latest Wear 3100. The W7's analogue hands certainly make it one of the most flexible and unique Wear OS watches out there, but we're not sure it'll be a massive commercial success. Especially considering the smartwatch will set you back $449 (around £449). Time will tell… maybe the Apple Watch Series 5 will feature analogue hands as well.